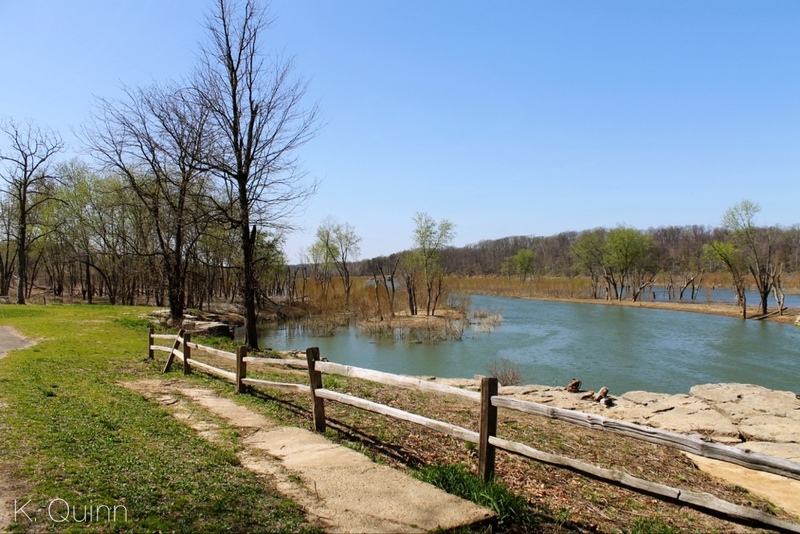 About an hour west of Indianapolis, along Highway 70, is Lieber State Recreation Area. 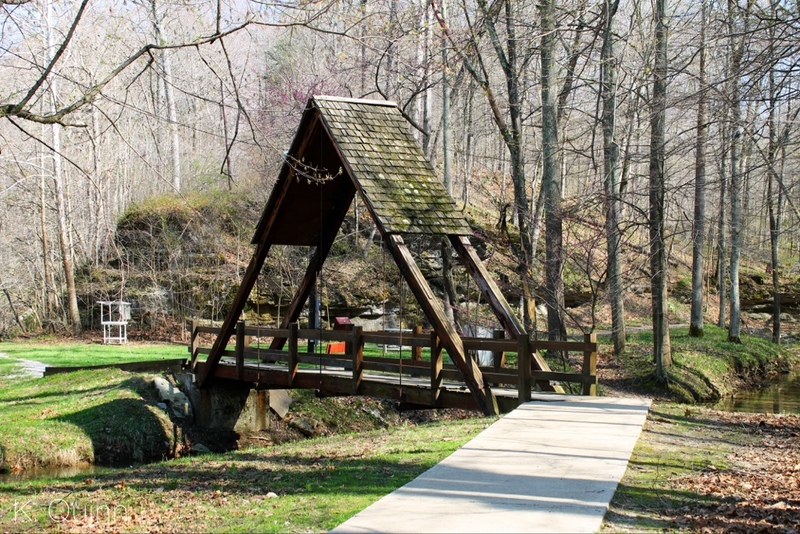 This is a convenient one night stop when traveling since it is not far off the interstate, but also has some beautiful natural features and it is situated along Cagles Mill Lake. 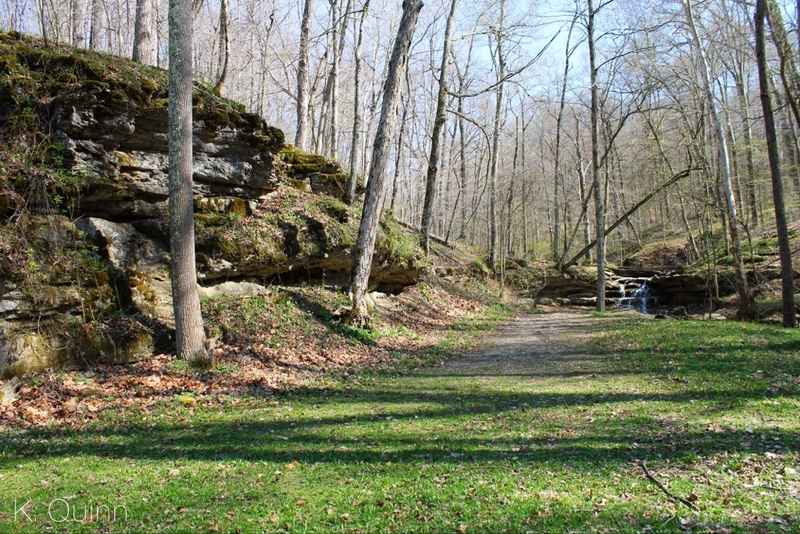 We camped here for one night on our way to Hocking Hills State Park in Ohio. We camped in the Sunny Acres Campground, the non-electric side and the sites were open and grassy with a rock pad. The sites had a decent amount of room between then, but there is no privacy between sites. 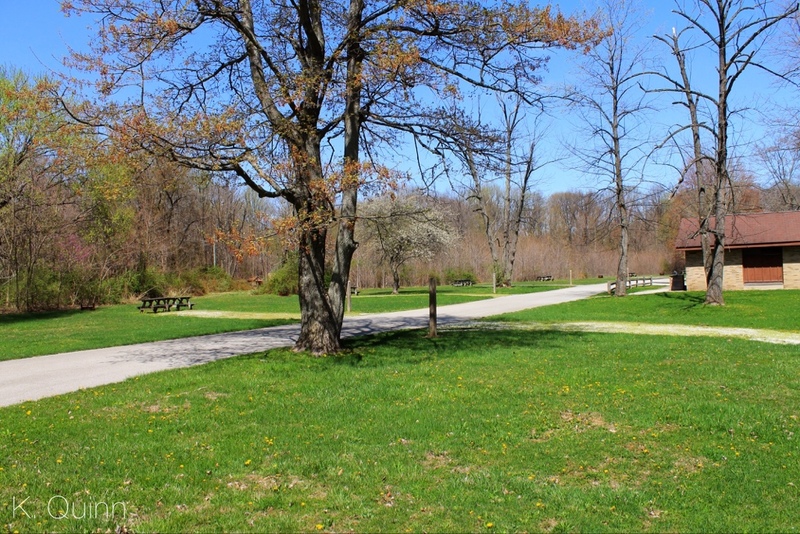 The electric campground, Popular Grove, was heavily wooded with asphalt pads. We camped here toward the end of April and most of the amenities were not open yet. 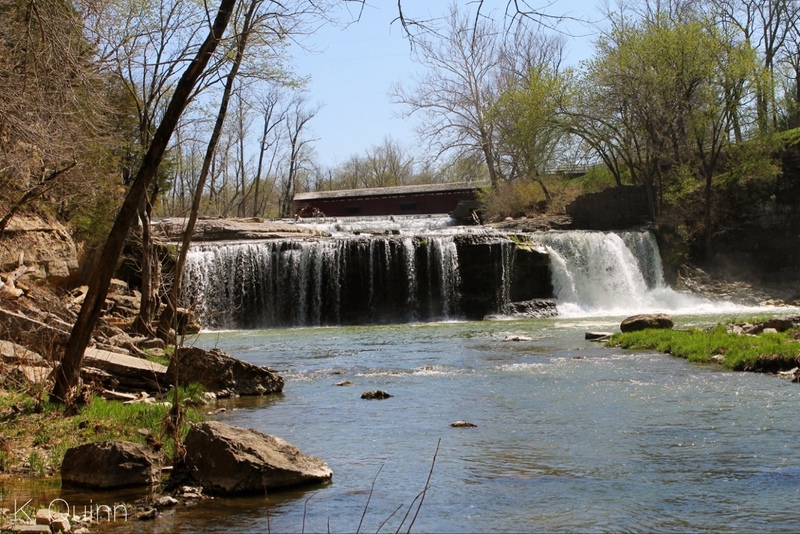 About 25 minutes south of Lieber State Recreation Area is Cataract Falls State Recreation Area. 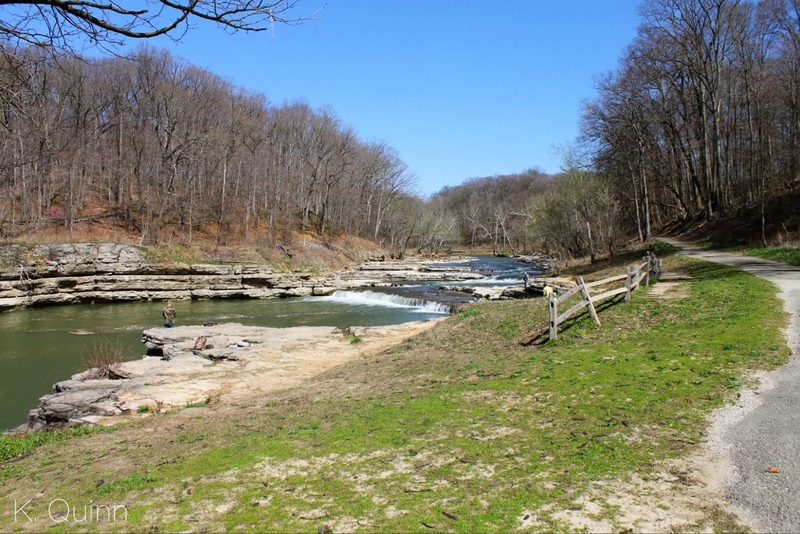 We visited this area a couple years ago on our trip to Shades State Park and Turkey Run State Park. Mill Creek drops twice creating the Upper and Lower Falls of Cataract Falls. 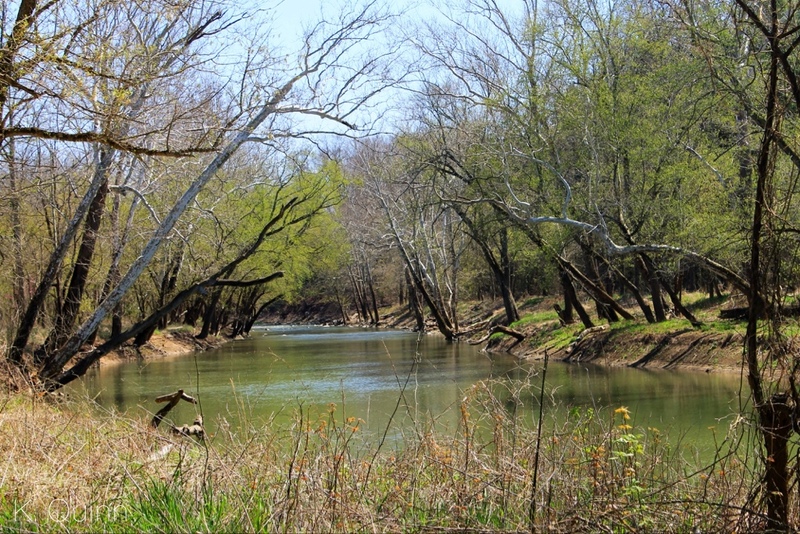 Mill Creek eventually empties into Cagles Mill Lake. Instead of using the directions from the ranger station to get to the falls, we decided to just take some backroads and see where they led. We ended up on County Road 250 W which is mainly a gravel road, but it offers the most impressive view of the Upper Falls. We just barely caught a glimpse of the waterfall through the trees so we pulled off. 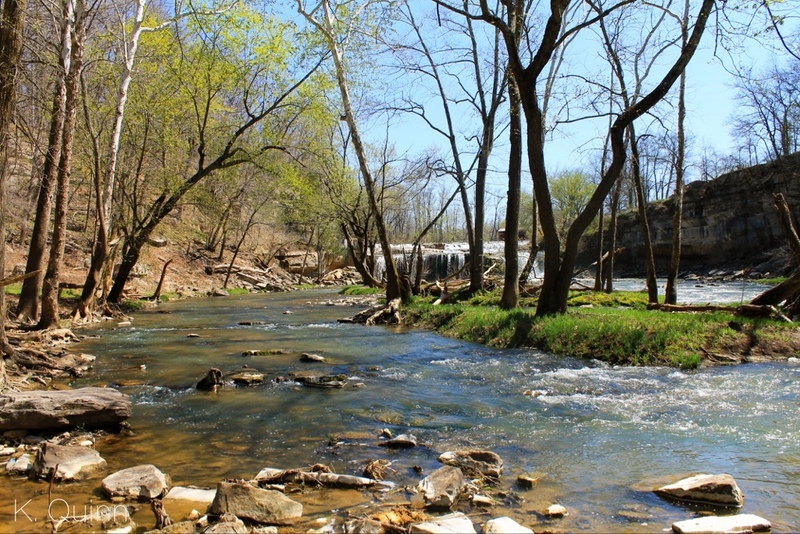 There is a faint trail that leads back to the creek and it gives you a great view of the falls. 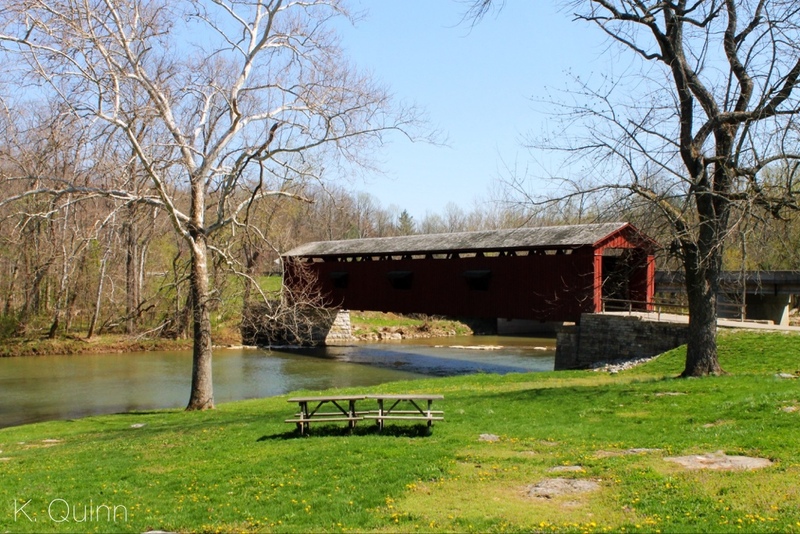 From there we drove into the park to view the falls from above and walked across the historic covered bridge. Be sure to also drive down to the Lower falls. While not as impressive as the Upper Falls, they are still beautiful. We also went to check out the dam. Before you get to the dam, there is a sign for the Tailwater Area. 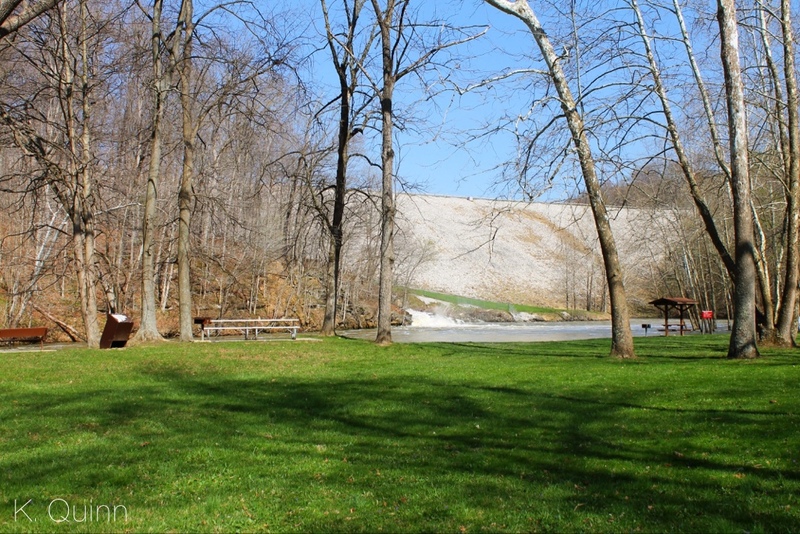 This area is behind the dam and in the picture below, you can see the large rock wall which shows you just how tall the dam actually is. This area was very nice with several picnic areas and it even had a small seasonal waterfall. When we were there, the lake was very high. The fishing platform was swallowed up by the lake. 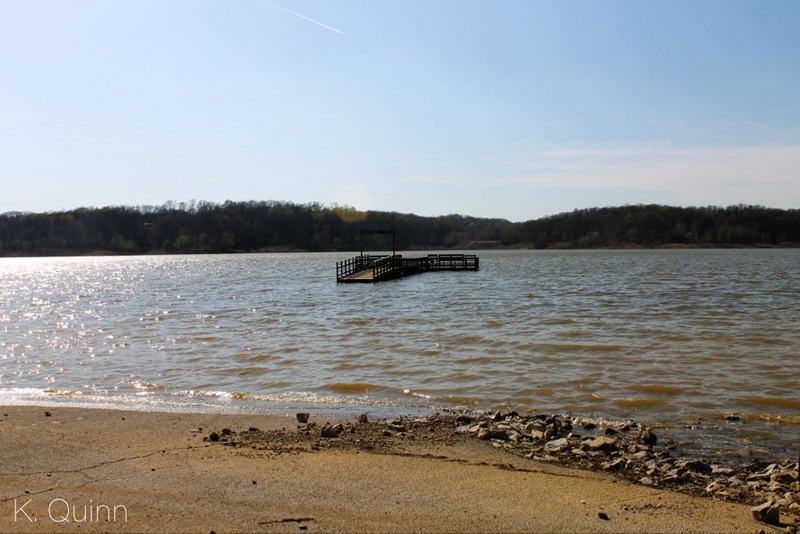 Indiana’s Department of Natural Resource’s website has a lot more information including a park map.